Common Ground’s three main branches work together to address food access and education on the farm, in schools and cities. Our method reflects our belief that a multifaceted approach is needed to address food insecurity in the 21st century. The farm is the heart of Common Ground. 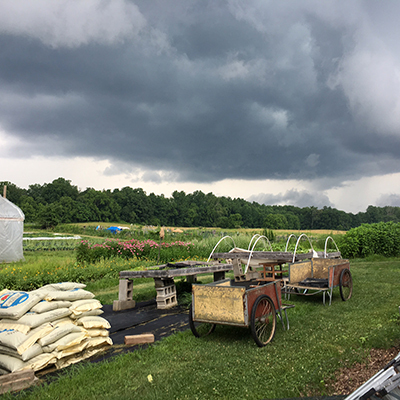 We grow a diverse array of vegetables on nine acres, offer year-round programs for children and adults, and welcome visitors and volunteers to work and enjoy the land. Each season, the farm dedicates about half of the vegetables produced to food justice efforts. Educational programming on the farm connects children and adults to food. Creating opportunities for people to harvest vegetables with their own hands, learn basic cooking skills, and directly interact with our local food system, changes our relationship with the food we eat, with our own bodies, and with the land on which we live and work.